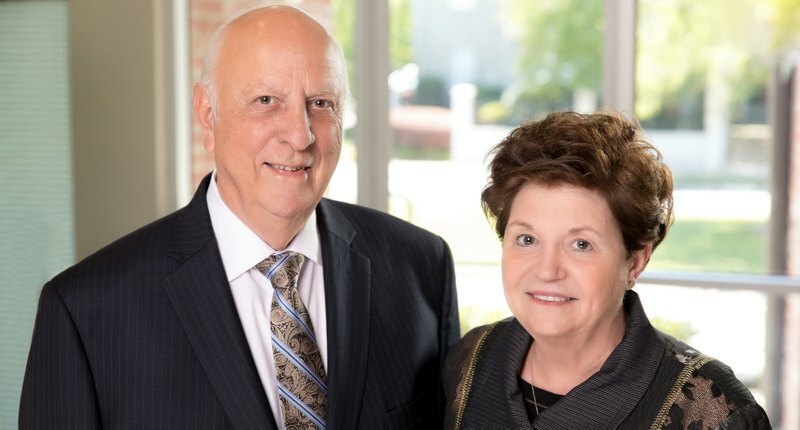 Mary Carol and Thomas R. LeBlanc Sr. are the recipients of the 2018 Leaders In Philanthropy Award for Iberia Parish, an honor presented by Community Foundation of Acadiana (CFA) and Hancock Whitney Bank, and sponsored by The Shea Family and Iberia Bank. The couple is a perfect exemplification of being good stewards in a community. From very humble beginnings, Mary Carol and Thomas have reached great success as business leaders in Iberia Parish. They have used their success in industry to unselfishly give to charitable organizations and causes. “The people of New Iberia are very friendly," said Thomas. "We like the community and see the value of its activities. Since we received such a wonderful education, we like to give to those schools." They have provided significant resources to Catholic High School (CHS) through participation and charitably giving to the Dancing with the Stars initiative, as well as donating a new pole-vaulting equipment for the CHS track program. Mary Carol and Thomas were instrumental in securing the Doc Voorhies Wing, a new addition to the Bayou Teche Museum in New Iberia. Annually, they host a fundraiser to supporting the Iberia Performing Arts League. Also, they support a wide variety of other organizations including the Catholic Church, Sisters of Mt. Carmel, St. Edwards, Haiti and Guatemala missions, The Unexpected Pregnancy Center, Wounded War Heroes, and Shadows on the Teche.